The Lord has proven Himself as Shepherd for Iranian church planter Farshid Amin. Amin has been through dark valleys, yet God’s goodness and faithful love pursued him, gave him a renewed life and led him on the right path with a specific purpose in mind. A native Iranian, Amin grew up in Dubai, United Arab Emirates. Raised in a Muslim home, but not fully practicing Islam, he had several Christian friends who took him to church occasionally. In 1986, on a trip to Iran, Amin was required to stay and complete his compulsory army service. He also started his university education. While taking classes, Amin went into business with his father. The pair were quite successful, owning several businesses throughout Iran and in several other countries. 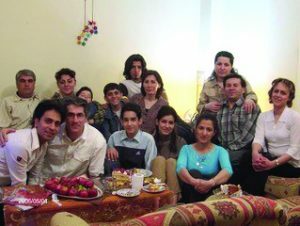 Farshid Amin with his wife, Farideh, and their two children. Amin was exposed to Christianity again through a business acquaintance, but in 1994, he unknowingly became involved in a business that was reserved for someone connected to a high-ranking government official. Without warning, the government seized his family’s professional and personal possessions. A case was built against them, and they were placed in prison. Amin’s friends and associates disassociated themselves from Amin and his family for fear of their own well-being. While in this state of seeking God in a Muslim culture, Amin became frustrated with the lack of results from his whole-hearted efforts. Instead, he determined to devote all of his prayers to God and not the Muslim holy people. The memories of being in church and the teachings of Jesus came back to him. He asked Jesus to help him, promising that if he got out of prison, he would give his life to worshipping Him and following Him. From that day on, things changed. People who had been afraid to associate with Amin’s family began to help. A former acquaintance from prison provided a million-dollar bond for Amin’s father to get out of jail. Officials let Amin’s father obtain the release of Amin and his brothers. Amin got a job and married. Knowing he must leave Iran because his freedom was not secure, he obtained passports. Even with pending charges, Amin and his wife Farideh were allowed to pass the border due to a misspelled name on the passport. Ministering to new believers in Turkey. In 2004, the Amins went to Istanbul and applied for political asylum through the United Nations. It was there they found a church and confessed their faith in Jesus. The Turkish authorities relocated them to north-central Turkey where Amin was discipled. He started a small house church among Iranian refugees, began to study for the ministry and became their pastor. Over time, relationships were built with sponsoring U.S. churches including Oklahoma City, Heritage. After four years, the Amins felt called to move to the U.S.
With a passion to share his faith and start a church, Amin visited several states and was presented with several opportunities, but God ultimately led him to Oklahoma City. Amin obtained a maintenance position with Oklahoma City, Cherokee Hills. 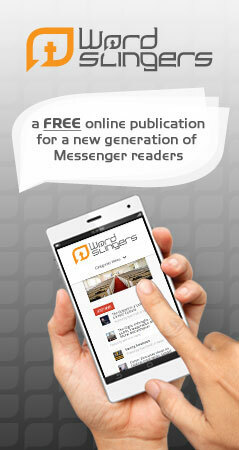 He and his family befriended several Farsi-speaking, local Iranian believers who were not affiliated with a church. They asked him to lead a Bible Study, and soon after, they asked him to start a church and be their pastor. 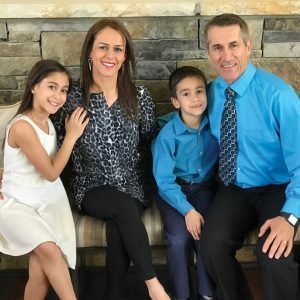 In 2013 with the help of Mark Stapp, associate pastor of Oklahoma City, Cherokee Hills, the Farsi-speaking Iranian Baptist Church of Light was launched. In 2016, with the help of Mike Keahbone, pastor of Cherokee Hills, the church affiliated with and gained the support of Capital Baptist Association and the Baptist General Convention of Oklahoma. Pastoring the church in its second year, Amin shares that his greatest challenges are time and support. Serving bi-vocationally, it’s Amin’s goal to minister full-time. Many in the congregation have led hard lives. His desire is to reach out to Iranians across Oklahoma, especially university students in Norman and Stillwater. Amin said that it is not easy to reach people who have been raised with different beliefs. It takes time to cultivate relationships. The ministry of Iranian Baptist Church of Light extends to countries around the world. Through an online app, people in Iran, Turkey and Germany listen to the church’s weekly services, and Amin now officiates online baptisms. As he continues to shepherd his church flock, Amin focuses on his favorite Bible passage, Psalm 23. He reflects on those years the Shepherd guided him on a path marked with many twists and turns, some very difficult, but the path is the right one, “…for You are with me; Your rod and Your staff—they comfort me” (Ps. 23:4b).